3 Types of Medical Records you will use in a VA Claim — and How to Get Them. 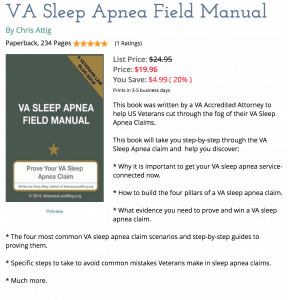 You just are not going to win a VA Claim without providing some medical records. That’s just a fact of life. Now, it is true that when certain medical records are missing, you may be able to use lay evidence to substitute for the missing medical information, I have NEVER seen a VA Claim granted without at least SOME medical records or evidence. 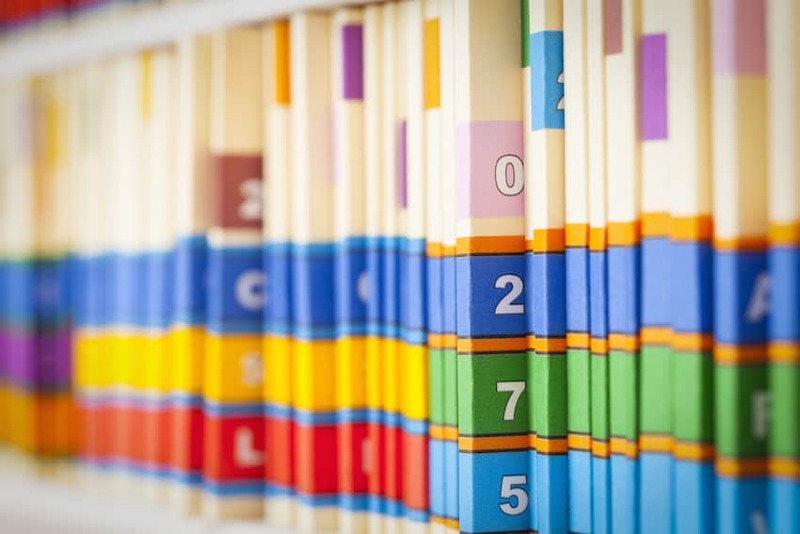 Now, there are several different TYPES of medical records, and they each serve a very different purpose in a VA Claim or Appeal. So, it is important for you to know what medical records you may need in your claim, and where you should go to look for them. 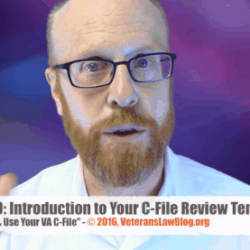 So let’s take a look at each of the 3 Major Types of medical records used in a VA Claim or Appeal, where to get them, and what to use them for. So there are 3 general types of records that exist for every soldier, sailor or airman while they served in the military: service records, performance records, and medical records. When you submit a request to the National Archives, most times you are requesting your service records. This includes things like your DD-214, any PCS or TDY orders that might have been saved, awards, decorations, training documentation, etc. These are called “Military Service Records”. Sometimes, depending on your rank and length and era of service, you will find that your Military Service Records also include your performance records. I cannot explain this, but I have noticed that the older the generation of veteran, the more likely it is that you will find performance reports at the National Archives. When we request c-files for Desert Storm/Shield and Persian Gulf war veterans, we almost NEVER find NCO Evaluation Reports or Officer Evaluation Reports in the military records received from the archives. Sometimes, you might get some of your military medical records when you request your military records jacket from the National Archives. This will depend on a lot of factors – mostly how scrupulous your branch’s adjutant officers were. For example, my Battalion S-1 (Army speak for adjutant) when I left active duty didn’t seem to really care a lot about what records went to whom. I walked out with an original copy of my military treatment records under my arm (I came to learn, years later, that they never should have let that happen). Other branches will send your medical records to the archives for storage, others store them on their own, and others just throw them out or burn them. Either way, you will want to put some effort into tracking down your military medical records. Especially if you received in-service treatment for a condition or injury that led to your current disability, these records can often PROVE this first element of service-connection: the in-service injury. That said, here are a few ways to track down your military medical records – this is assuming you have not yet started a VA claim. Even if the VA says that they requested your military service medical records, don’t believe them. Like The Gipper said, Trust but Verify. The VA often keeps only the portion of records that they think are important, and they are wrong 100% of the time or more. Just kidding, they’re only wrong about 99% of the time. You get the point: don’t confuse the VA’s Duty to Assist with actual assistance. The first step is to search that box in your basement or attic labelled “Army junk” or “Navy stuff”. You never know what you stuffed in that box – we all have one, don’t we? – back when you left the military. The second step is to contact the National Archives and specifically ask for any in-service medical records when you request your military records folders. For most folks, this will be the last place you get information but try the next 2 steps, just in case. The third step is to go back to the individual facilities where you were treated and see if they retained copies. The more recent the treatment, the more likely you will find something. But don’t let the age of your records stop you – we have found some really old treatment records from folks who were treated in the military as far back as the Korean War. If your medical treatment was more than 7-10 years ago, it’s going to be increasingly unlikely that you will find anything, but ask anyway. I’ll tell you more about why later. The fourth step is to contact the military unit you served with. Sometimes they will tell you that they have boxes of files going back to World War II (we once found a WW2 veteran’s treatment records in his Division’s record storage archives). It’s rare, but as my grandmother used to say….ask-not, have-not. Sometimes you’ll find out where and when the unit “archived” its records. We once found a host of records for individual records in a helicopter repair hangar at an old Border Protection facility. The border agents were using the records to start fires when they were out in the desert and needed fire to keep warm. I s**t you not. True story. If you cannot find your medical records, and you are sure you were treated for something in service, the fact that the above 4 steps didn’t produce records should NOT stop you. At this point, especially if you got negative response letters from the folks you asked (letters saying they looked but couldn’t find anything), you can use Lay Evidence to prove up past diagnoses and symptomatology of conditions that you were treated for. Click here to learn more about that. Medical Records Category #2: Post-Military VA Medical Records. The second type of medical records to use in a VA claim are your post-service VA Treatment records. This includes any records of treatment you had at a VAMC (VA Medical Ceter) or VHA facility. These records are helpful in all sorts of ways: they can help prove symptomatology for a condition, in some cases they can show continuity of symptomatology They can also help to establish your impairment rating, and in some cases, they can outright establish entitlement to a secondary or aggravation based claim for service connection of a particular condition. Call and ask them what form they want you to use to ask for your own medical records from that facility. (In theory, you should be able to get all of your VHA/VAMC treatment records from any facility, but it is better to ask each facility directly to make sure you get everything they have). As long as you are a current patient, or currently in treatment….but as soon as you are no longer a patient, the clock starts ticking and there will come a day (usually 5-7 years) when the VA disappears or destroys your medical records. Use the appropriate version of VHA Form 10-5345 – there is one form for authorizing delivery of your records to a third party (like a lawyer or a VSO), and one for authorizing release of your own records to yourself. Click here to see and download both forms. Some Veterans can use My Health VA to download their own treatment records. You do not, however, get all of your records. You probably won’t get treater notes or addendum, only reports of surgery, treatment notes, lists of vital measurements, etc. I always go right to the VHA VA Medical Center (VAMC) and request ALL records for our clients at that facility, for specific conditions, covering date ranges – to get the most complete responses. Again, it bears mentioning: request your own records even if the VA said they did already. The VA is known to keep only those records that support a denial, especially if your claim is somewhat more complex than others. The third type of medical records you should look into getting for your VA Claim or Appeal are any private medical treatment records. Most of the time, you are going to be looking for post-service records. In a rare occasion, usually when you are fighting with the VA over your entitlement to the Presumption of Soundness or the Presumption of Aggravation, you would want to also request your pre-military private medical records. These records generally show the same thing as Category #2 records: they can help prove symptomatology for a condition, in some cases they can show continuity of symptomatology They can also help to establish your impairment rating, and in some cases, they can outright establish entitlement to a secondary or aggravation based claim for service connection of a particular condition. These are usually really easy to get – just call the facility that you were treated at, tell them your name, dates of treatment and the condition (or body parts) that were treated, and ask what you need to send to get a copy of those records. Most facilities have their own form and they will gladly give you a copy to make it easier on them. If your state doesn’t have a fee waiver for Veterans medical records, this is one time that I strongly advocate Veterans play the “Veteran card”. Tell them who you are, when you served, and that you are using these records to get access to Veterans Benefits. Ask if they would please waive any fees or costs so that you can use your money to take care of your family after years of serving the nation. 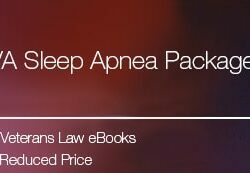 Most doctors waive the fee. Those who don’t usually find their hearts turn black with hate over the years and they turn into even more horrible people. Just kidding, of course. They have businesses to run, too, so don’t hold it against them if they say no. Again, this is an “Ask-Not, Have-not” scenario. The worst they can do is say no. That about sums up the 3 different types of medical records for a VA Disability claim or appeal. If you think of any that aren’t on this list, be sure to let me know! 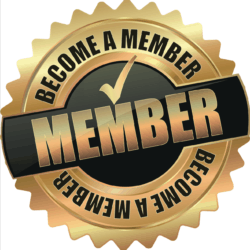 And, if you want to learn how to best USE those medical records to improve your VA claim or increase your VA rating, click here and check out my 5+ hour training video: How to Prove the 4 Pillars of your VA Claim“.